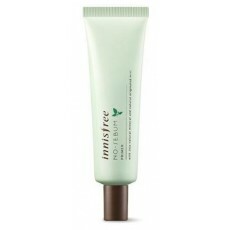 Innisfree No Sebum Primer is a light, transparent, gel like, no white cast primer that easily absorbed on the skin to control excess sebum production while smoothing fine lines and invisible pores. Apply this primer at the end of your skincare for a shine free, fresh looking complexion for longer hours. At the end of your skincare, squeeze adequate amount and apply thinly on areas with visible pores. Pat lightly to finish.